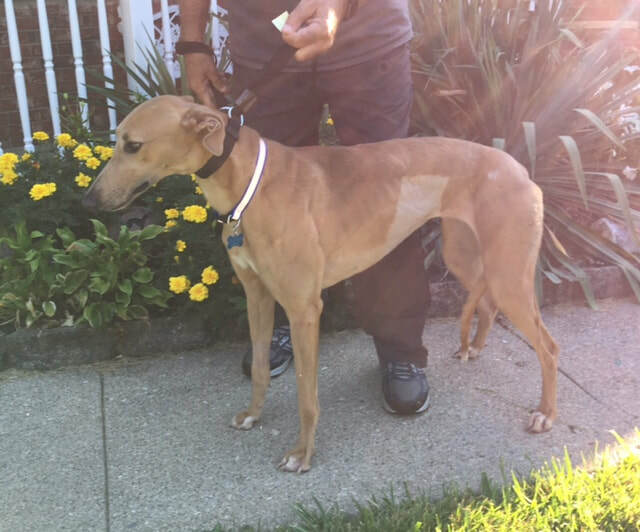 Foster mom says: She is a calm, laid back girl that crates well and for 8 or 9 hrs. daily while I am at work. No potty accidents. She does fine with my 6 year old son and 3 other greyhounds. She likes to run in the yard with them but doesn't interact in play, prefers to lay in the yard to sun bathe. Probably be ok as an only dog. She LOVES attention and LOVES being petted. She's a curious girl, confident and did the steps on the second day here.